The Express Sealer 1800 makes pressure seal a viable option for the smallest of offices. Organizations processing as few as 6,500 documents per year can cost justify the 1800. 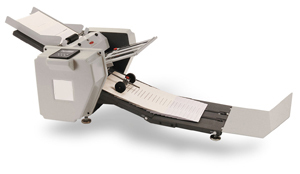 The Express Sealer 3000 is an integrated folder/sealer with a processing throughput of 3,000 documents per hour. This affordable desktop solution is a good fit for the small office looking to streamline their document processing. The Express Sealer 3000C builds upon the Express Sealer 1800 platform with increased speed, duty cycles, and includes a digital counter with manual and batch counting modes. The Express Sealer 5000 delivers unparalleled value to the pressure seal market. This value-added folder/sealer includes an integrated conveyor and digital counter – at no additional cost! The duty cycle is perfect for the office that is small today but will be large tomorrow! The ease of use makes the Express Sealer 7000 attractive to mid-sized organizations of all kinds. An impressive 7,000 sheets an hour will satisfy even the tightest of deadlines. 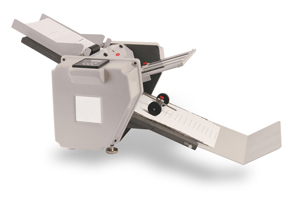 Offering an extended 36″ conveyor, the Express Sealer 10K Plus is ideal for organizations with high-volume output requirements. 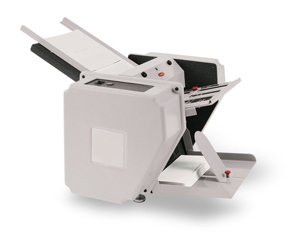 The Print to Mail™ accessory attaches to your HP Laser Jet 4014, 4015, 4515 series printers, folding and sealing the printed document in one easy step, at a rate of up to 65 pages per minute (printer dependent). Jam Recovery : Rollers have a manual advance and access panels make media removal simple. Jet Link : Communications package stops printer if a jam occurs. Senses operational status of Print to HP. The Print to HP accessory attaches to your HP Laser Jet 4000, 4050, 4100(n) printer to print, fold and seals in one easy step up to 25 pages per minute. 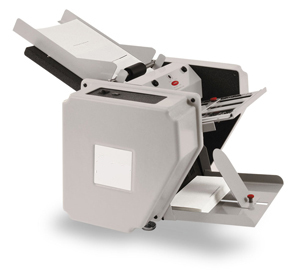 The Print to HP accessory attaches to your HP Laser Jet 4200/4300/4250/4350(n)(tn) printer to print, fold and seal in one easy step at speeds up to 2,700 documents per hour. 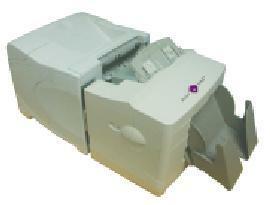 The Privatizer stand alone unit can be used with any laser printer. Folds and seals at 50 pages per minute or 3,000 per hour.